Superior Tank Co., Inc. (STCI), the most trusted name in bolted factory powder coated steel storage tanks, announced today it has received its initial FM certification. After a final audit to certify the manufacturing facilities as FM compliant, STCI passed with the highest score possible. The initial certification covers the calculation and drawing size 47′-6 3/8″ x 24′-1 1/2″ high. STCI’s Rancho Cucamonga facilities are qualified at the High QCFM rate which will allow for a lower certification cost for future diameters, as well as different matrix system to mass certify for STCI’s Bolted Steel Storage Tanks. “This is the result of 3 years of hard work, discipline, patience and commitment to a new system based on quality standards and technology driven processing,” said Jhon Godoy, CIO. 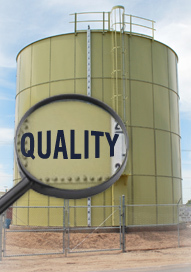 “Our efforts were highly celebrated by the FM Auditor.” Superior Tank Co., Inc. has been manufacturing and installing a complete line of bolted and welded steel storage tanks for the potable water, wastewater, fire protection, rain harvesting and crude oil industries since 1984. Superior Tank was the first to apply Thermoset Fusion Bonded Powder Coatings to bolted steel storage tanks. 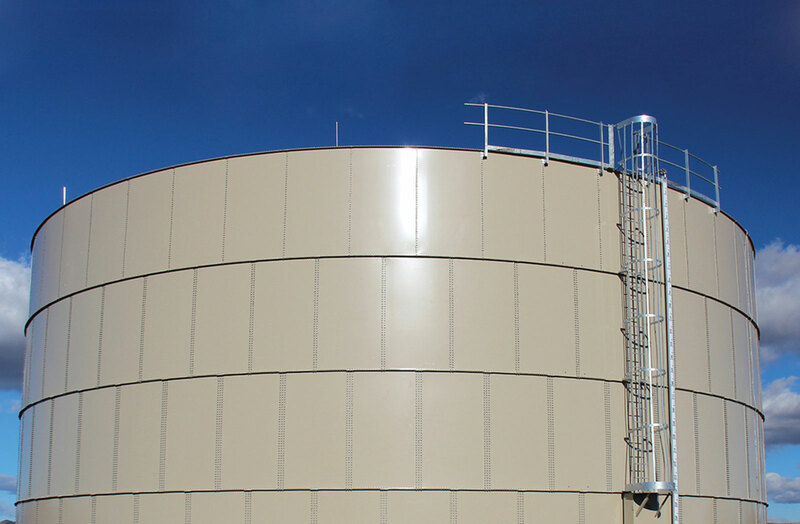 STCI’s Storage Tanks conform to standards set by American Water Works Association (AWWA) and National Fire Protection Association (NFPA). Superior Tank Co., Inc. also follows the standards and specifications set by the American Petroleum Institute (API). STCI can manufacture bolted steel storage tanks in capacities of 4,000 gal to 2.2 million gal. and can be shipped and erected bolted to anywhere in the world. Superior Tank Co., Inc. offers the following services: engineering, design, manufacturing, maintenance, service agreements, fabrication, installation, dismantling, tank rehabilitation and seismic retrofits. In addition, STCI also performs site work preparation and foundation design, i.e. grading, excavating, structural concrete. About Superior Tank Co., Inc.
Superior Tank Company, Inc. is a family-owned business started by Jess E. Marquez in 1984. Mr. Marquez has 60 years worth of experience in managing oilfield and water tank construction and installation. All together the family has over a 100 years of experience in the bolted and welded steel storage tank business. Next year will mark STCI’s 30th year of business and the opening of its second manufacturing facility in Texas. Previous Glass Coated Tanks – Worth the Money?